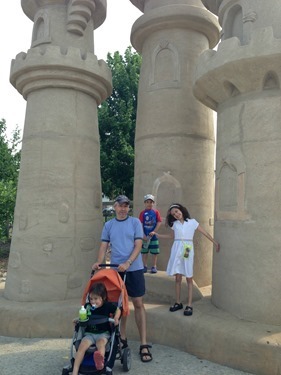 Just about two weeks ago, my family and I got to visit Schlitterbahn Kansas City. 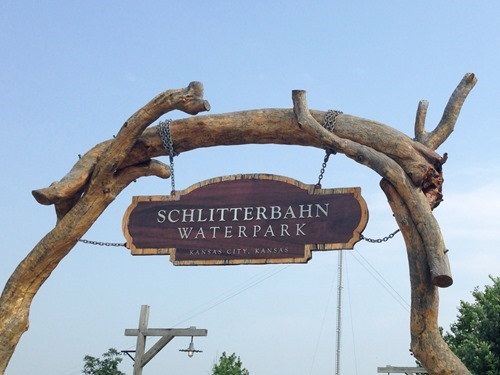 Like I mentioned in a few of my previous posts in this series, I had always wanted to go to Schlitterbahn after watching a show about it on the Travel Channel. 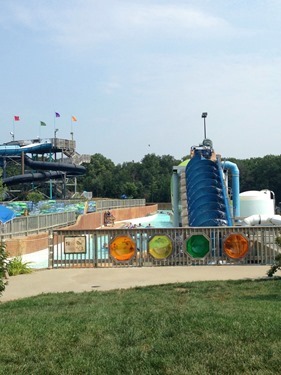 The original Schlitterbahn is in Texas, but there is one right here in Kansas City, KS, approximately 20 minutes away from where we live. 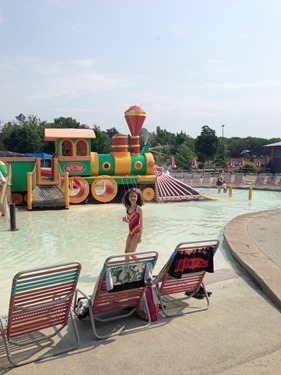 We arrived at the park in the morning, hoping to beat the crowds and the hot sun. We loved the free parking right outside the park gates. 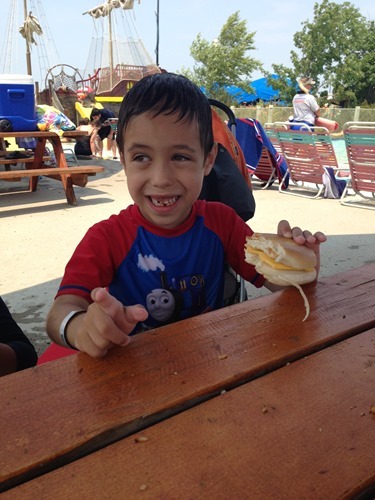 We brought our lunch with us, which is one of the perks at Schlitterbahn – picnicking is allowed and encouraged. 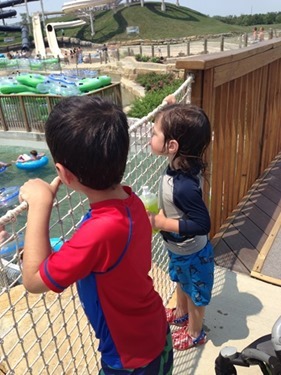 To review some of the various slides and pools available, check my previous Schlitterbahn post! 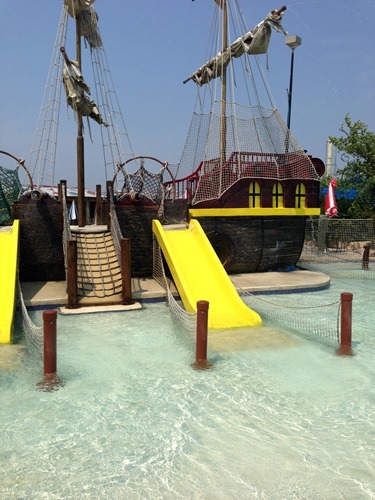 The water surrounding this pirate ship is hot tub temperature! We then took a break to eat lunch and something funny happened – Zachary’s first tooth fell out! 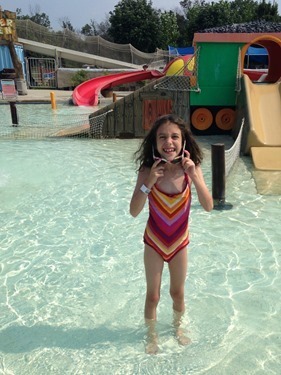 At Schlitterbahn! On the top is just a space – it’s the bottom tooth that fell out! After lunch we floated on the Kristal River. 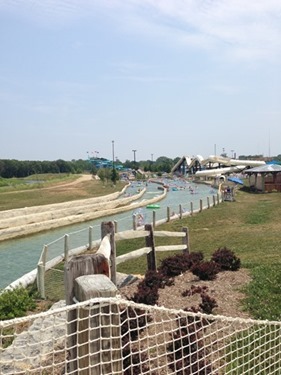 I held Simon on my lap, Dave rode on a double tube with Zachary – and the front of the double tube is closed so Zachary couldn’t fall through – and Gabbie rode herself. 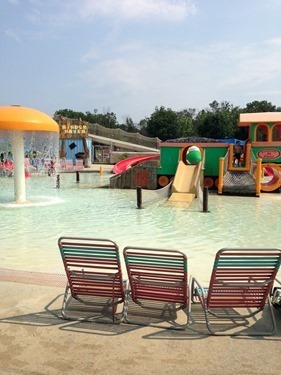 Then we checked out the Torrent Beach wave pool and Torrent River tidal wave river! Everyone went on the river except for Zachary, so Dave and I still had to take turns. Dave went with Simon and Gabbie and I went myself. Next I wanted to ride a tall tube slide so I got in line and waited a good while to go down the Bonzai Pipeline. I was annoyed because no one was really waiting to ride this single tube slide, but it shared a line with the single or double tube Wolfpack ride which everyone was waiting for! When Dave took his turn on line, the line was shorter and he rode the Wolfpack! 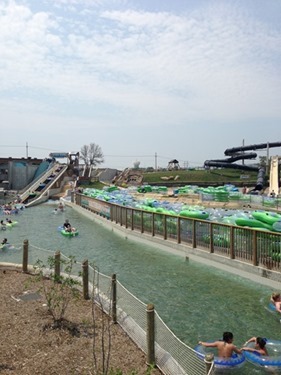 I really liked how the tubing river really looked like a river! 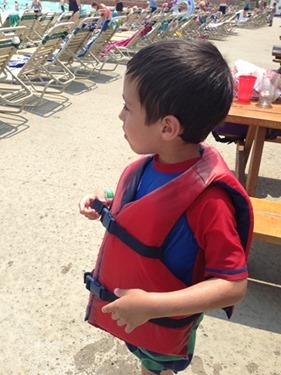 We had a great day at Schlitterbahn. 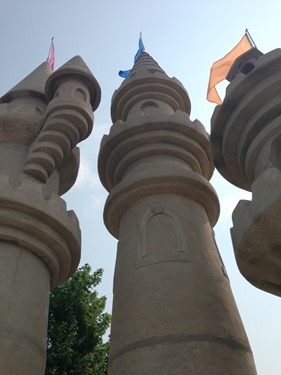 There is still an exclusive $5 off regular admission or a discount on a 2 day admission offer available. Tickets must be purchased online only through this link using the promo code BLOGGERFUN13. 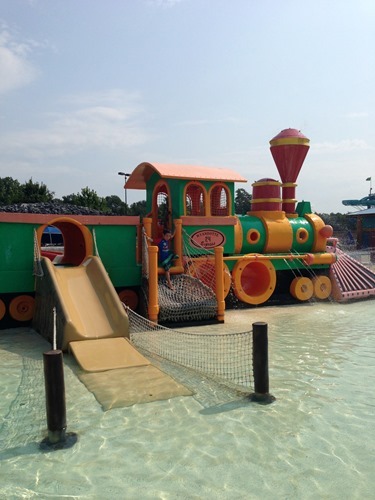 This is valid at the Kansas City Schlitterbahn Park. 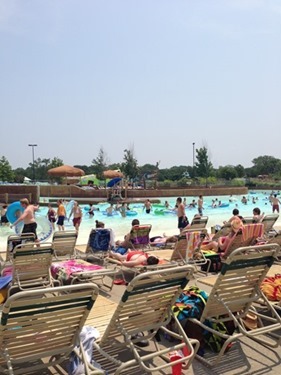 For the Texas parks try this link! 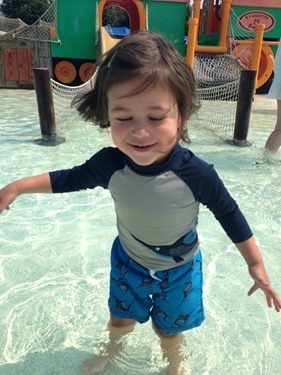 Thank you to those that entered my Schlitterbahn ticket giveaway – Alex was the winner!